This superb 4 bedroom home (sleeps 7) situated on the corner of Upper Loch Erne in an exclusive development of 23 properties. 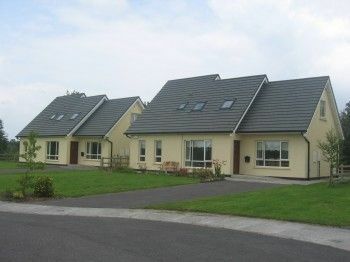 A dormer bungalow comprises of large living room which runs from the front to the rear of the house, a kitchen come dining room 1 single, 1 double room and bathroom on the ground level, while upstairs there is a spacious landing/childrens play area 1 double and 1 twin ensuite bedrooms. Set on a tranquil site at the water with direct accesss to the jetty. Shop, Pub, Restaurant 3 miles, Lakeside 100 yards. Electricity and Gas by meter read. TV, dvd player, CD, fridge with small ice box, microwave, dishwasher, w/machine, freeview, games console, free wireless for surfing internet, hairdryer, welcome pack, open plan shared garden, picnic bench, private off road parking. Driving Distance 1 hour & 50 mins– From Dublin follow the N3/M3 route towards Cavan. Take the Belturbet road from Cavan until you reach the main street and after crossing over the bridge, take a right turn where you will see Flynn’s Public House located. Then take another immediate right (signposted Foalies Bridge) and continue straight to the left of the road and Foalies Bridge is on the left hand side. Please note access through the security gates must be arranged in advance.